Cee’s Which Way Challenge completes at the end of September. To celebrate the end of this photo challenge, I submit these two photos from my last trip to Spokane, Washington. 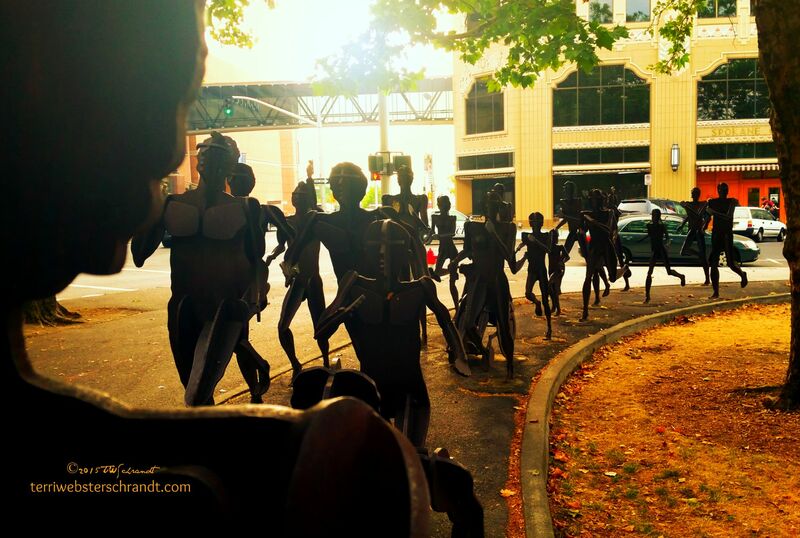 These fun runner statues, found in a corner of Riverfront Park in downtown Spokane, were installed in recognition of Spokane’s annual Bloomsday Run. 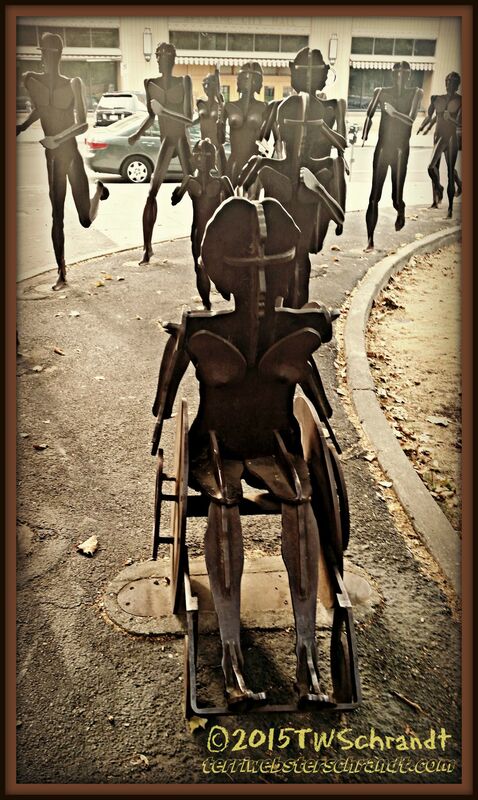 The statues are titled “The Joy of Running Together” and were created by the artist David Govedare. The sculpture is found near the end of the course. The Bloomsday Run 12K Event is held annually in May. Join Cee’s Which Way Photo Challenge for a few more weeks and visit her blog for other photo challenges. Love the message in this picture! And congratulations for winning The Pinterest Game with this pin! Incredible pictures. Thank you so much for sharing these pieces, Terri. We are as strong as we set our minds to be. Lovely message. Terri, very creative pictures of awesome symbols of strength. What a wonderful image Terri! Perfect conclusion to Cee’s Which Way Challenge! These are really cool! I love the inclusiveness- not something you find everyday! Thanks for sharing with your lovely photos. I love this picture and the sculptures are beautiful too. Thanks for inspiring us today. An amazing work of art and what a wonderful reminder of the strength of the human spirit! Isn’t it cool? They are life-sized too, so you can walk right up next to them a feel you are there.